Okay, word on the street is that Plan G may just be the final winning plan that brings furniture to our living room. This is all part of the larger Get the Lawn Chairs Out of Our Living Room Master Plan which I'm really hoping is a grand success soon! Anyway, once the furniture is here, I would really like to make a blanket for the living room. Like actually make it myself! 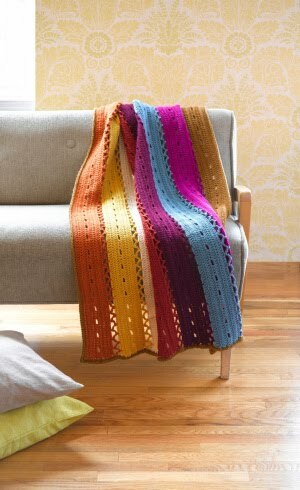 This is not something I'm starting tomorrow (probably a back-to-school project) but dreaming about what pattern to choose is giving me something to do in the office tonight (in a real chair). Want to take a peek at some of my favorites? Obviously colors would be adjusted to fit the room, but anything look interesting to you? 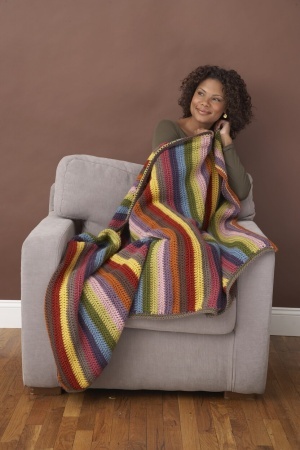 Or do you have any great crochet patterns of your own you'd like to share? 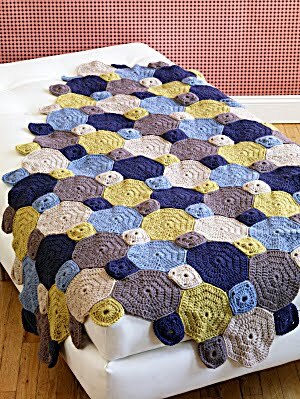 I want a blanket that will be good for snuggling under while we watch tv, but that will also look cute in the room. I honestly can't wait to get started...but first I need to get moving on that furniture!!! If it were me, I'd leave the "holey" ones alone - not as warm and snuggly! 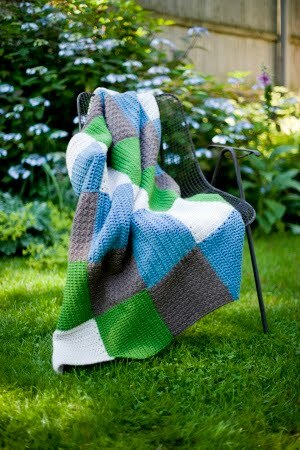 That first striped one or the two "patchwork" looking ones are my favorites - they look cute and cozy! 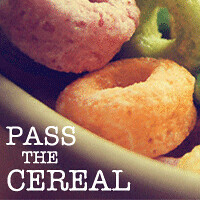 Love the first one best (love those colors, actually!!) and the ginormous granny square is awesome, too!! Absolutely LOVE the 1st & the 4th! 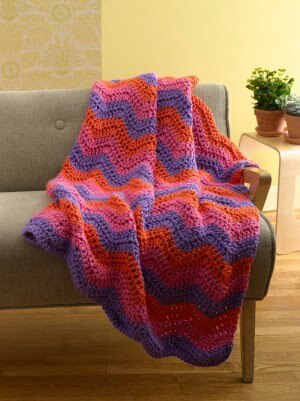 1st one is my fave by far...love the colors and stripes!! Also really like the 3rd and last! Ooh, I love number two, but number five is really interesting, too! Tough choice, but really I'm just impressed you can MAKE a blanket! def the top one for me!